Using a heart to embroider, a nation can be weaved. How can a palace, imprison a phoenix? One’s life is decided by oneself and not by heaven! On one great land, the world is split into four, Yan, Bi, Yi and Cheng. Nation Bi’s Right Prime Minister’s daughter, who is of a dignified demeanour, virtuous and gentle, admires the son, Ji Ying of the Four Great Families. Yet when the two families were preparing for a marriage alliance, it was flagrantly wrecked by the King, Zhao Yin, with one imperial edict, selecting her to enter the palace. For the sake of her family, Jiang Chenyu had no other way but to accept the imperial edict and enter the palace. However, she was not willing to become the Monarch’s consort and die of old age in the palace, so she volunteered herself and requested to become Zhao Yin’s strategist. As calamity is brought to the nation, the world is overturned. 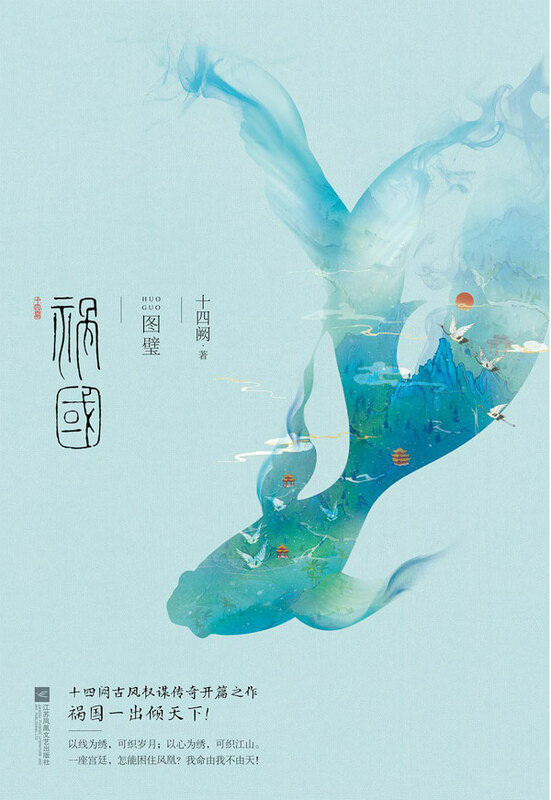 T/n: The female protagonist’s name comes from the phrase “chen yu luo yan”(which is part of a longer sentence), which was used to describe Xi Shi’s extraordinary beauty where it caused the fish to drown and the geese to fall. Xi Shi is one of Ancient China’s Four Beauties. A very complex yet great work. Female Protagonist is just a 14 or 15 y.o girl who is in love with a gentleman. Such a pure yet unrequited love, since the one in the gentleman's heart is not her at all. She is also very kind hearted and caring. ... more>> But then her dream was shattered. She couldnt marry the one she loves but instead forced to enter the harem. The emperor is someone who is full of hate. He wanted absolute power for revenge. He blamed the world for his tragic childhood past, and robbed everything from his subject, including his childhood sweetheart and fiancee. Layers of hatred above layers of hatred. Sowing and reaping, just like an endless circle. And here our female protagonist tried her best to make a difference. Yet the wheel of destiny is omnipotent. She lost a lot of people she loved and cared about, her heart broken, in exchange to be the woman above hundred of thousands. So lonely yet she got the abosolute power that those wanted to gain with every means. The beginning seems to be slow and complicated but it is really worthy to read. The evolution of MC is interesting to see.